It is with deep sadness that we bring you the terrible news of the passing of Daniel Stewart MacMaster. Daniel was pronounced dead last night as he lost his battle with complications from Pneumonia. Daniel suffered from Streptococcus Group A Infection that entered his blood stream. Usually people just get the non fatal Streptococcus Throat with this bug but it attacked Daniel at his weakest and his organs started to shut down. The doctors tried everything while Daniel was in hospital, but unfortunately it was too late. We are all still in a state of shock. Daniel would have turned 40 on July 11th this year. From personal experience, with all Daniel’s Success, Fame and Talent in his short life, he was one of the most humble and easiest going guys I’ve met while working for Suncity Records. Daniel’s loss will be felt by the thousands of fans that he has entertained over the years with his extraordinary musical talent and he’s much loved voice. Our condolences go out to Daniel’s close friends, his family, especially his 2 little kids Kaleb and Aryanna and his loving wife Tina. Stunning news overnight with the untimely death of former Bonham singer Daniel McMaster. Daniel sang on the two great Bonham albums The Disregard Of Timekeeping and Mad Hatter and most recently had released a solo album via Suncity Records Australia – Rock Bonham And The Long Way Back. One of Daniel’s musical partners Jimmy D has also commented at: http://www.myspace.com/emeraldmonkey and www.myspace.com/monkeymacmaster. Dan’s wife Tina has been in contact with Suncity, who have posted a statement on their website – www.suncityrecords.com. It seems Dan had pneumonia and then he got a Strep Group A infection that entered his blood stream, which in turn caused his organs to shut down. Doctors tried everything, but the infection took hold so quickly there was nothing left to do. Dan was only 39. Daniel was one hell of a singer and is another big loss for this musical community. Like so many others, he should have been better known, but for those of us who did appreciate his talents and his huge voice – this is a very sad day. R.I.P. Daniel. Another person taken way before it was time. 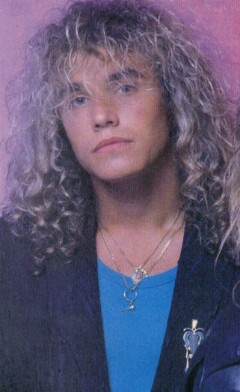 My own memory of Daniel MacMaster is just of the solid vocals he did on the first two Bonham albums. THE DISREGARD OF TIMEKEEPING (1989) got a ton of airplay here in RI with the single ‘Wait For You’ and I bought MAD HATTER (1992) when it was released. 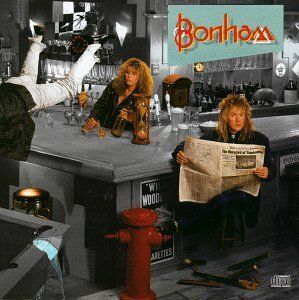 That first Bonham album takes me back to my senior year in high school…..good times and good memories. Thanks to Daniel for being part of the soundtrack in my life. Rest In Peace…..
What a loss, first of all to Tina and the kids, and to the music industry. My deepest condolences to the family. What a great singer and talent—–He will be missed……. Also his ex girlfriend was a ex of ROBERT PLANT(she was older then the keyboard player) and she also told me some stories about LED ZEPPELIN. Sometimes the world is very little. I have near me (50 km around) KEN HENSLEY(URIAH HEEP, BLACKFOOT…) and the parents of ROGER GLOVER living. And also GARY MOORE and IAN GILLAN have a holiday house but i dont know exacly were. Just in shock after finishing a gig and finding this sad news. Yet another great vocalist taken from us. Daniel will truly be missed. From Coda to Daniels family and friends. We wish you our condolences. So sorry to hear of this tragic loss. My condolences go out to all his friends and family. Such A loss of A great musician. Condolences to Tina, the 2 little ones, his mom, his brothers and his close friends. May his memories live on in your hearts. From an old friend in his hometown. We did two 5 song demos and, started to get some air play at a local station and a DJ who worked there, god bless you Chris Micheals where ever you are,played it for Brian Howe of Bad Co who took it to Phil Carson(Led Zep, Bad Co ,President of Atlantic ACDC,read the back of ‘Back in Black’) Phil was working with Jason Bonham at the time,Chis Micheals lost his job because of all this but he didnt care. Anyway just to let you know there were alot of good people around us those days I will name a few who deserve credit, Our Parents ,Dans mom,amasing person who believed in Dan so much she payed for his latest EP, Ian Woods who brought Dan over for guitar lessons,Chris Micheals without you there wouldnt have bin Bonham,Rick Ennest who brought our demo to the radio station ,he was in another band and didnt have to do that, Bruno Mombello our late sound man who told us we were a great band and encouraged us to write original music RIP. Mary and Gus Scaratti who co signed on our van so we could tour in the early days and let us practice in thier house, Harris Haase for being like a father to me,helped us buy equiptment and pay it off as we worked for him. Jamie Ferrier for not dropping my guitar Thanks Pipes, Ronnie , John, and Steve Graham you guys were and still are our bros, Troy The Duke of Dunlop Street your mom is the Greatist, We would pick up Troy as we drove down the main street on our way out of town because he was alway standing on the street corner and looked like he should be in a band. Hi Terry my name is Brian Howden, my sister was Cherie, Dans girlfriend for many years, I found out about two years ago of Dans passing and couldn’t believe it, he was like the big brother I never had and I’ll never forget tje great times I had with him, yourself and Troy. I’m sure you’ve heard my sister has passed away and it’s been a struggle, hopefully there is an afterlife and they find each other. Thanks for listening, and I hope you’re still playing cheers mate. I think it is so wonderful that my brother is remembered as the true talent he was. I have been scrolling through the internet for days and soaking everything in. To me though he was more than just a singer, he was my brother. Talented beyond measure. He was an amazing painter, he could draw extremely well, and most of all he was the funniest person I have ever met in my life. I am still in shock and sure this will take many many years to wrap my head around. I hope the comments keep flowing, I hope the music keeps playing and most of all I hope the memory of Daniel MacMaster stays in the public eye right where it deserves to be. There is so much more music to be heard and I hope Terry and I can come up with a plan to get it published and get it heard.. Really.. There is alot. Jody did your brother spend a couple years growing up in a small town named Capreol back in the 80’s? If so I hung out with him back then and was shocked to hear of his passing. He was one of the funniest and most creative guys I’ve ever met. My condolences if this is the same person. It’s sad when people are taken from us too quickly, my heart goes out to Daniel’s family and friends during this difficult time. I didn’t know Daniel, I only knew his music and I am grateful for it. It’s so shocking when you stop and think about how young he was…..39. I’m going to turn 36 in August and I think of how much life I have left to live and it excites me. R.I.P. Daniel….. Thanks to Jody, Terry, and everyone else that knew Daniel for stopping by. My condolences to Dan’s family. It was a shock t hear of Dan’s passing. We saw each other at a mutual friends wedding, and chatted for a while, got caught up on all the time that had passed us by, , seems like yesterday. I just found a full box of the Scorcher cd NO THANKS”, which is playing right now,,,,Just before we say goodnight…. I remember seeing the video for Wait For You and thought wow this guy is good. A few years later, I met Daniel and we became friends. I saw him play with Scorcher in Barrie and Toronto and he was good. He singed my Bonham tapes and sent me Scorcher’s demo tape. But, my favourite memory of Daniel is when we went to the Def Leppard concert together, Pour Some Sugar On Me will always remind me of Daniel and his wonderful smile. We lost touch over the years and I am very upset to find out of his passing. My heart and condelences go out to his wife, kids and the rest of his family and friends. Thank you for being part of my life Daniel….I will always remember you!! What a loss…..only the good die young. I hope we will get to hear all the music and songs he has made. What a sad loss. I knew Dan way back in the 90’s (early) through a friend of mine, Sherry. she introduced him to us and thought he was such an amazing perrson!! His careerin music is legendary and being such a well respected performer and person, it will be very difficult to understand such a tragic loss. First of all my condolences to Dan’s wife and children and of course all other family members. I have had the extreme pleasure of first hearing Dan when I was 14 years old on Much Music and thinking this band is pretty cool and what a great voice!! 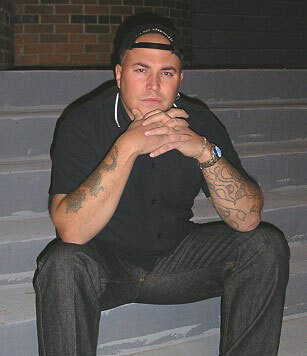 12 years later I had the pleasure of meeting him in Thunder Bay and working with him and even hanging out with him…unfortunately time passes by and you drift apart…but I would still see him and his family from time to time. He was a terrific person and I am glad, no…honored that I had the pleasure of meeting such a terrific spirit…he will be sadly missed by myself along with many other friends and coworkers that have come to know and respect him. I found out about Dan’s passing as I check the net once in awhile. Dan and I were friends from 1992-1995. I am happy I had the chance to get to know him. He has a great heart and family. He did what he wanted most in life…. to have a family. It is so unfortunate that he was taken away too early. On behalf of the deSa family, we send our condolences to his Mother, brothers, wife and children. God Bless you Daniel and we will keep you in our prayers. I’m not sure how I got drawn into looking Daniel up tonight via Google but this is incredibly shocking news, not exactly what I was expecting. While I was teenaging in Barrie, Ontario, Canada (circa 1987) we used to watch Daniel (from Scorcher) occasionally jam in with another local band called Trance who we used to party with from time to time, man the memories. He was 2 years older than me and he had so much talent as a singer, I was just starting to embark on my guitar skills and in some way I’m sure he influenced me even way back then. How very sad to hear of the passing of my childhood friend. Danny and I walked to Harold W. Riley school together on our very first day of grade one. We were great pals for many years until his family moved back to Ontario. In the mid 80’s, Danny’s mom came back and showed us pictures of what he was up to – pretty amazing! I took pictures of my 6th birthday to a concert Bonham played at the Saddledome, but due to miscommunication I didn’t get to see him after the show. I always said “at least he knew I was there”. The Miller family in Calgary sends our deepest condolences to Danny’s family. I hope that you have a peek at these every once in a while and know that our thoughts are with you. Today I was ripping my Disregard of Timekeeping CD for my iPod (a repurchase of the vinyl copy I have had since its release) and was in Wiki getting info for the ID3s when I saw this news. :( I’m sorry to hear of Daniel’s passing. Being near Daniel’s age and a father of young children myself, my heart goes out to Tina, Kaleb and Aryanna, as well as all of those who were his family and friends. Though it has been a year and a half, I’m sure everyone still feels the loss and deeply misses their husband/father/brother/son/friend. I hope all of your hearts are on the mend. Thanks for the music Daniel. I’ll think of you each time I listen. I am so sorry to hear of this tragity. I went to high school with Danny, and always thought he was gorgeous inside and out. My husband and I were watching the movie Rock Star I told him I went to school with a ROCK STAR he did not believe me. I went on google to show him Danny and unfortunately found out this horrible news. This says some of the music he was working on could be heard at ilike. ilike is now gone. Anyone know where you can hear these now? Also what happened to the album Never Ever Done, with Steve Lukather? Someone needs to create a Daniel MacMaster website.